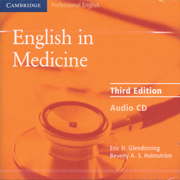 English in Medicine is a course for doctors, medical students and other medical professionals who need to communicate with patients and medical colleagues. Each of the seven units focuses on one area of doctor-patient communication, from history-taking and examination to diagnosis and treatment. The course develops all four skills through a wide variety of activities. 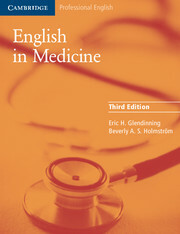 The third edition is now in full colour and has been updated to take account of developments in medicine and the impact of new information technology. The course does not require specialist knowledge on the part of the teacher.